This is the first in a 2, or possibly 3 part series of information about education, what’s wrong with the system we have now and what we can do about it. Part 1 is a brief history of education, drawn largely from Peter Gray’s blog on Psychology Today – Freedom to Learn. There is a wealth of information about children, development, learning, and education there and I highly recommend it! Part 2 (next month or sooner) will briefly examine what democratic education and unschooling are, in-depth principles of what sociocracy is and how it works, and why I believe these are vital practices for the future (with supporting evidence and research). In Part 3, I will focus on different initiatives happening around the world, and specifically in the Netherlands, where I live and my children have been born and raised and will focus on further research that can and must be done around these developments. The troubles started early, maybe two or three weeks into my school career. I was five. I lived on an island south of Japan and was going to school on the military base where my father was stationed. I could already read a simple fairy tale, recite and write numbers up to 100 in English and Japanese, use a few French phrases and count to 10 in French, and my vocabulary was probably about the level of a 12 year old. My curiosity was insatiable and I asked constant questions of anyone within earshot, and sometimes even to myself. I remember sitting in a cluster of other young, malleable minds and bodies, on the floor in front of the big portable chalkboard in kindergarten, excited to be there and for new doors to open; only to find, once it did, a well-paved road of things I already knew and a rulebook which seemed to have no other purpose than to frustrate me into despondency and fits of rebellion… The teacher began laboriously drawing numbers on the board: 1-10. When it came time for us to copy them on our wide-lined paper, I kept going to 100 and was reprimanded for not doing what the rest of the class was doing. When we had to painstakingly practice printing the alphabet, I balked and switched to cursive, because I found it easier and more comfortable to use (not to mention how much prettier I thought it looked), but once again, frowned-upon behavior not suitable for school. The teacher complained to my father, when he went to confront her, that she did not have the time to give me individual attention and I would just have to try and fit in with the rest of the class. If I could not, then I would suffer the inevitable consequences. Disobedience and “acting out” would not be tolerated, lest it loosen the teacher’s necessary control over the group, and undermine her authority (make her look bad). Nobody likes a “smarty pants”; I was supposed to learn how to hide my intelligence if I wanted to fit in. I’ve known since I started school that something was wrong, but didn’t have the words to articulate what it was until many years afterwards. I knew it all through my teenage years, and early adulthood and my first foray into higher education (three different majors in three years, a ½ a year hiatus to “get my head on straight”, dropped classes, failed classes, confusion…). There was a glimmer of light when I entered the Adult Bachelor’s program of Lesley University (then College) and took progressive and fun classes in Creative Education, Anthropology, Dance Therapy and Psychology. By the time I finished my Masters, I had a clearer picture of what was wrong with the system, and some idealistic ways to fix it, but circumstances didn’t allow me to put those ideas into action right away (I moved to the Netherlands just before completing my MA and while pregnant with my first daughter and had my hands full learning a new culture, language, making social connections, moving twice, and later entering the education system as a teacher). When my own daughters began attending mainstream schools I alternated fits of spitting fire and indignation (“why do they get graded for gym class for Pete’s sake! It’s supposed to be fun!” and “what do you mean she has to finish eating in 10 minutes so she can go outside and play whether she wants to or not? ?”) with fits of despair (“she doesn’t pay attention during math and if she keeps this up she will be held back this year” and “we don’t know why she isn’t able to read yet and we’re sorry if her self-esteem isn’t up to par; we’re doing what we’re supposed to be doing. Maybe the problem is her”). Then, around September of 2012 while preparing a talk I was giving at a symposium about why creative expressive arts should be part of the normal curriculum in schools in South Africa, I stumbled on an article titled ‘A Brief History of Education’ on the Psychology Today website, written by a developmental psychologist and researcher, Peter Gray. And it rocked my world! Knowledge is power and I’m not talking about power over something or others, but the power/ability to change something that needs changing because you understand all aspects of it, and so in this article I would like to outline where this kind of thinking and current educational practices originate in history, and then, in a second installation, present the model and philosophy of democratic education as a (the?) remedy to situations such as in my story above. What follows is a (relatively 😉 ) brief encapsulation of how the modern education system developed. (For a more detailed, and entertaining account, see Peter Gray’s blog Freedom to Learn at Psychology Today: https://www.psychologytoday.com/blog/freedom-learn/200808/brief-history-education). It’s worth noting that although this account centers around European and American educational development, in the past several decades it has become the truth/norm for nearly all countries and forms of educational thought including developments in China, Japan, India, and Africa. These places, which had a somewhat different developmental trajectory earlier on, have been pulled into the same orbit as that of “the Western” education system. If you saw the film Alfabet (2013) which focused on the failures of modern education systems and features China prominently, then you will understand why I make this point. The film raises more questions than it answers in terms of possible solutions to the phenomenal failure of traditional schooling to prepare children for the rest of their lives after childhood, not even mentioning democratic schools in passing, but I will examine this occurrence more deeply in the second installation in this series. Up until about 10,000 years ago there were only hunter-gatherer societie s on the planet. Hunter-gatherers are mainly nomadic (at least to some degree), live in close communion with the rhythms of the seasons, have intimate knowledge of the land on which they depend and tread, must develop and store vast amounts of knowledge of the flora, fauna and weather/climactic patterns in their environment, and depend greatly on shared values and being able to work interdependently if they are to survive and flourish. They also have far more free time to pursue pleasurable activities than do highly technologically-based modern cultures because the work of meeting basic needs of food and shelter happens in shorter, more concentrated periods rather than continuous or prolonged efforts (some would argue that these needs are simpler than the ones we have in modern living conditions but that is a matter for another article). Children in HG societies have almost endless amounts of time in which to play, and acquire virtually all of the necessary knowledge they need to become a contributing and full-fledged member of their communities through daily, casual observation of community life and relationships, through games and appropriate explorative play opportunities, by engaging and honing their practical and creative skills with certain crafts, and through tribal rituals which code important pieces of knowledge into pleasurable and important art forms such as: story-telling, dancing, singing and rhythm, drawing, and theatrical play. (See bibliography and references at the end of this article for substantiation of these facts). I am using the present tense when describing these cultures because there still exist a number of them in the world today, and this is one of the main ways we have been able to follow the evolution of various cultures. About 10,000 years ago however, with the first discoveries that seeds could be planted and harvested for a more reliable supply of food, this began to slowly change. Farming is a much more labor-intensive endeavor than gathering food thus more human labor became necessary to grow and harvest food. The steady food supply also meant bigger families/more mouths to feed so all available family members were needed to support the growing population and to ensure the continuing food supply. The hours in which children were allowed to roam free and learn all about their natural world were diminished as they were put to work planting, tending, harvesting, and processing crops and taking care of livestock. Permanent dwellings were erected, which also required much more maintenance than temporary ones, also multiplying the necessary amount of labor for upkeep and sustainability. At the moment that humans shifted their habits away from a nomadic way of life, and latched onto the idea that people could control, exploit and own land and animals, everything changed, including thoughts about children and their value, purpose, and use to society. This trend continues until we arrive at the feudal system, where it was accepted that a few powerful leaders had the right to own and control vast sections of land and all of the resources that came from that land. A class system emerged, and a hierarchy based on the ability of the stronger members of society to exploit great numbers of people, usually in exchange for the promise of protection from hostile neighbors and/or the threat of disenfranchisement from the shared culture. Everything shifted towards production and besides land, labor became the most prized commodity. Every able-bodied person in a family was needed to increase the family’s productivity and value, though most of what they produced was not for themselves or even for their tribe, but for the overlord or other authority figures. This gradually gave way to the idea of harder work increasing personal wealth too, but not until fairly recently. Earlier in history there was a basic trust that all sufficient knowledge will appear as needed and that each person has unique and valuable gifts which are useful to the community or society and that humans are the stewards of the earth, and not the owners of it or anything on it. With the advent of agriculture, this idea has been supplanted by a devaluing of certain factions within the culture (animal spirits, women, and children namely) and supplanted with the idea of mankind’s inherent rights to dominance over “lower” life forms. Specialized knowledge (how to milk cows, how to plant wheat, the climate on one’s own patch of land, how to get the most out of one type of soil) became more valuable than an extensive cache of knowledge and people became more disconnected from varied and more diversified forms of “knowing”. This essential trust in the necessary learning process had begun to severely erode by classical Greek and Roman times, when a formalized system of imparting academic knowledge evolved, based on the idea that some people are inherently superior to others by way of being more clever or intelligent, and that formalized and “academic” ways of thinking are superior to any other form of knowledge and is thus only offered to or required for the ruling/controlling classes (nobility). This was also the period where large cities first began appearing, and people became more distanced from the processes of growing their own food and being primarily self-sufficient except for limited trading between tribes or travellers and the first of what we call “universities” today, appeared. Learning in institutions and using the brain and logic was valued over the seemingly “simple” learning that took place everywhere else in life. During the next 1000 years or so the organized religious systems of Judaism, Christianity, and Islam have become thoroughly entrenched into the entire Indo-European continents (and later by extension through immigrants from Europe, to the Americas) and all of them favor the notion that the earth is on a “lower” plane of existence and humans’ task is to rise to the “higher” or spiritual planes. The spiritual state is more important than the physical, and relegated into the hands of those presumed to have the most wisdom and knowledge (only the clergy were allowed to learn to read and write Latin, which was the primary written language of the Roman empire which lasted until around 400 CE – and whose influence is felt long afterwards, even up until the present). Imagine this: the population has exploded, stepping up competition for resources; life is hard and the Church teaches that the only release will come in the afterlife. If the rules which have been described as unquestionable laws of the cosmos are not followed in complete obedience to the knowledge-holders, the results can be catastrophic, i.e. entrance to Heaven denied and no relief from the harshness of life in a bodily form; eternity in Hell or any other form of the coveted state of spiritual grace denied to the disobedient ones. It becomes imperative for the Church, intimately involved in political and social life, to control the thoughts and actions of its followers, and this is done through propaganda, threats, fear, and promises of rewards for unquestioning adherence to the standards laid out by the authorities. To disobey or refuse to conform is to risk severe punishment, or even death, for oneself and often relatives as well. Several key events happen during this time, which will become the foundation of educational methods as we know it today. First, Martin Luther translates the Latin bible into German and declares that the only way to salvation is to be able to read the bible for oneself, and not depend on an intermediary. This means that everyone will need to learn to read and so Germany becomes the first country to institute universal schooling practices, and virtually all of the schools are run by the Lutheran church, which takes an extremely strict approach to the raising and teaching of children. Corporal punishment is condoned and even encouraged; any deviation from the strict doctrines of the church are met with severe force. 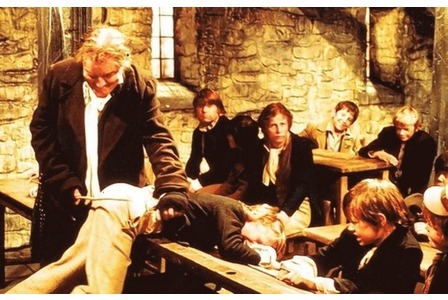 Children are routinely smacked, slapped, beaten with fists, belts, wooden switches or other pain-inflicting implements and teachers hold unquestionable and total authority over their pupils. Children are also seen as being completely unequal to adults in every way: they are expected to keep quiet, sit still, respect their elders, and become model churchgoers and upright citizens. 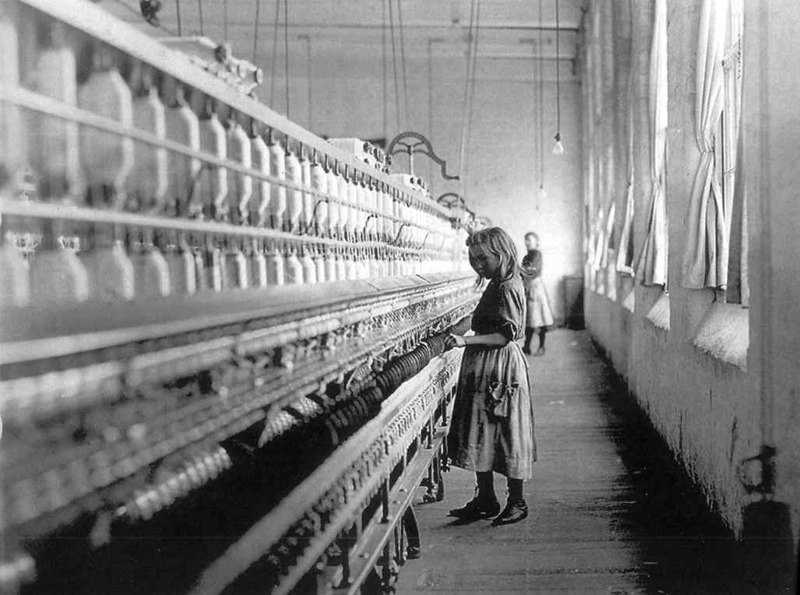 Second, during the industrial revolution in England (and somewhat on the Continent) the explosion of commerce and factory-produced goods for consumption by a rapidly forming middle class means children are exploited as a source of labor so severely that hundreds of thousands of them are maimed or die, as well as many families being ripped apart by poverty or death. Unheard of numbers of orphans or children lacking adult representation/protection causes a backlash of child welfare reforms and gradually brings about new attention to and a major shift in the thinking about child welfare. The advent of machines helps to ease the need for human effort and physical labor, and loud calls for reforms in child labor practices are heard in government chambers, on the streets, and in the press. Eventually the reformers, with the best of intentions towards children, prevail and laws are enacted which limit the number of hours and what types of jobs children are allowed to work. Now that children are not required to work in factories (as much) anymore, what are they supposed to be doing? 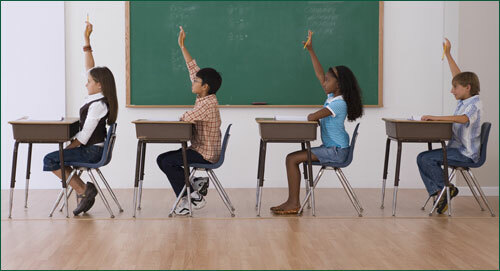 Answer: Schooling for all children of a certain age becomes compulsory. Swept from the Jaws of Hell into… Prisons? Sadly for all children everywhere there is no such thing as a return to earlier practices in hunter-gatherer societies (which are seen as “primitive”, quaint, unsophisticated, heathen, wild and even dangerous in the eyes of “modern” societies). If children are not to be allowed to “just play” they must have some form of “work”, and that work becomes… learning, which takes the form of attending school. Going to school becomes the way to fill the hours that children used to spend in the factories or helping on the farm or other forms of manual labor. The growing use of technology and rapidly changing modern society calls for a much higher level of intellectual capacity or intelligence than previously thought necessary, and at ever younger ages: being able to read, write, process numbers, cure illnesses and solve sanitation and other logistical problems, and get a grip on how to better exploit the earth’s resources in order to produce more goods for human consumption becomes the priority for humanity as a whole. Play and learning by doing as the primary ways of acquiring knowledge is replaced by “drumming it into their brains”, rote learning, following formulas, and memorization. Those who understand how law, politics, and finances work have an advantage over mere manual laborers, as do the newly formalized fields of science and medicine. These fields all require high levels of reading, communication, and mathematical skills and the world falls under the sway of this one area of knowledge. Modern psychology becomes established as a scientific authority where parents are told the best ways to raise their children, who are seen as small adults (little vampire-like monsters according to some theorists) who must be coerced into performing their roles and becoming responsible citizens. The community no longer has innate trust in each child’s ability to become a contributing, productive member of society, in whatever ways they are best suited, believing instead in the views of pedagogical “experts”. Children are a constant challenge to the right thinking and actions of adults, and are a threat to a smoothly-running society. They must be tamed or subdued into conformity; otherwise it is feared that all of society will collapse! Does this sound familiar? With some mild modifications, a re-working of the rhetoric to appear more progressive, and a few attempts at continued reformation, this is primarily the education system as it stands today, over most of the world, regardless of developmental status. Most developing countries have been heavily influenced by the West as far as educational standards and systems are concerned, fueled directly by increasing competition for goods and services designed to increase a country’s wealth and political standing in a world gone mad with greed. The ramifications of thinking about children as lumps of clay to be formed into whatever shape society desires or requires them to be are multiple, and chilling. Staggering and rising rates of depression, suicide, mental “disorders”, “learning difficulties”, stress, negative impact on family life – these are all well-known and documented. So, what can we do? In an essay inside the book How to Start a Sudbury Valley School (one of the original forms of democratic education), Daniel Greenberg (1971) – one of the founders of Sudbury Valley, examines the differences and desirability of education Reform vs. Revolution. I started off believing and investing my energy in Reform. I thought that if we just introduced far more creativity into the school system, if we used the arts as a vehicle for teaching and tapped into the collective energy which has been expressed for hundreds of thousands of years through ritualized play and arts that everything would get better. And numerous studies show that the arts and creativity do indeed improve the school experience for many children. But after being exposed to the ideas which form the foundation of democratic schooling, and sociocratic societal structures (which most of the democratic schools in the Netherlands follow), I have changed my heart and my mind. Sliding a few extra moments of play and arts exposure into a child’s structured-by-adults day, will not be enough, I am convinced, to reverse the overwhelmingly debilitating effects of imposing a learning curriculum which they didn’t choose onto children. We must stop hiding behind unsubstantiated claims of “we know what’s best for them”, and we must face the fact that we are perpetuating acts of violence which are seriously thwarting all chances of building a peaceful and equitable society. In the second part of this series I will outline, examine, and present evidence for why I believe that democratic education is one of the best and only hopes we have for repairing the damage of the past 10,000 (and more specifically past 200) years. Until next time! ~ by suzanlemont on March 4, 2015. Look forward to reading more of your work on this in the future.